Of all the procedures to have done on your mouth, root canals are claimed to be one of the most painful. But it’s not all about pain, though. There is a lot of misinformation about root canals that can be scary to those who have been told by their dentist to get one. The goal here isn’t to scare anybody from getting a root canal. The goal is to educate and reduce the anxieties about root canals so here are 5 root canal myths debunked. This one is kind of true and false but for a unique reason. You see, several years ago root canals hurt worse than knocking your toe on the end of your bed or stepping on Legos. But times have changed. With the modern technology of root canal therapy and anesthetics you won’t experience a whole lot of pain. It’ll be like getting a dental filling. This is false. The origin of this myth stems from long-debunked and poorly designed research conducted before modern medicine understood the causes of many diseases. To this day there is no valid, scientific evidence linking root canal treatment to any diseases throughout the body. If you have any questions regarding what to expect after a root canal, we explained this in a previous blog here. This myth depends on how much you want to spend on treatments. If you get a tooth removed that means you must replace it with a bridge or an implant and requires more time in treatment and can result in further procedures to neighboring teeth and supporting tissue. Now there is nothing wrong with a dental bridge. In fact, it’s a good procedure to have if you are someone who has a missing tooth or teeth. The goal of saving the natural tooth, however, is to greatly reduce having excess procedures to other teeth. Sorry to break it to you, but this is false. While the tooth will no longer be sensitive to hot or cold foods or beverages after the surgery, you will feel that later in a few days. But all isn’t lost. If you’ve had root canal therapy and have experienced heightened sensitivity or inflammation, notify your dentist immediately and they can prescribe medication to help reduce the symptoms. So… this is false. Even after getting a root canal you will need to make follow-up appointments to have a permanent filling or crown put on the tooth. During the procedure, a temporary filling is placed after the pulp have been removed. This protects the root from infection for only a short time, which is why you need to go back to the dentist. The last thing you want is a rotted-out tooth to ruin a beautiful smile. 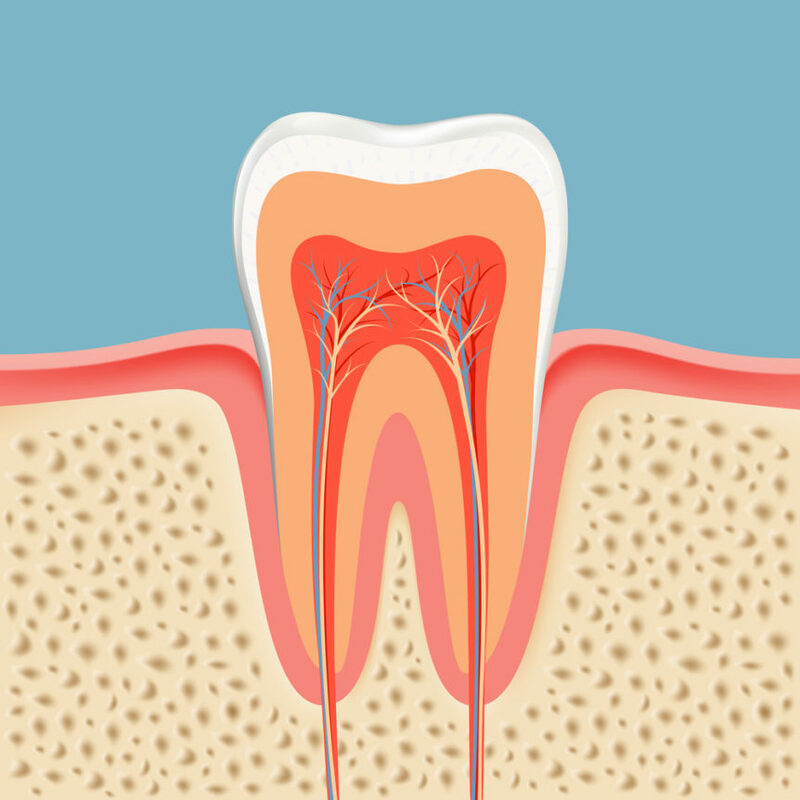 If you want more root canal details look no further than here. Hopefully busting a few more root canal myths will get you talking to your dentist again. If you’re in the DFW area and you want to know more about root canal therapy, look no further than Cosmetic & Family Dentistry of Las Colinas. We provide root canal therapy in the wonderful city of Irving. Our highly trained dental staff remain informed of the latest trends in the dentistry. At every appointment, you’ll be guided by a supportive team who seeks to provide a unique patient-centered experience. Our procedures include bridges, ceramic inlays, tooth colored fillings, Invisalign clear braces, extractions, and root canal therapy. Don’t wait until it’s too late, contact us now for an appointment!